Washington, DC…On October 3, 1789, President George Washington issued a proclamation naming Thursday, November 26, 1789 as an official holiday of "sincere and humble thanks." The nation then celebrated its first Thanksgiving under its new Constitution. 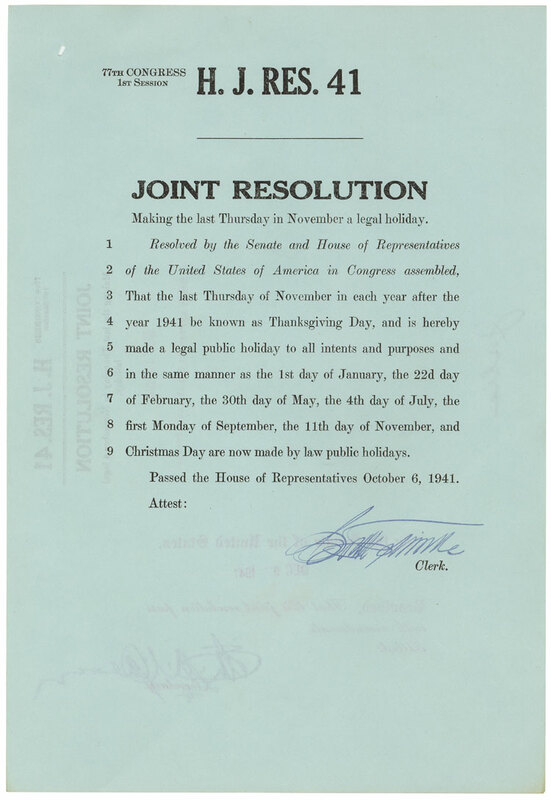 On October 3, 1863, President Lincoln made the traditional Thanksgiving celebration a nationwide holiday to be commemorated each year on the fourth Thursday of November. In the midst of a bloody Civil War, President Lincoln issued a Presidential Proclamation in which he enumerated the blessings of the American people and called upon his countrymen to "set apart and observe the last Thursday of November next, as a day of "Thanksgiving." 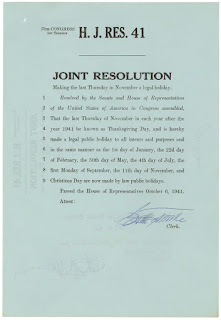 Making the last Thursday in November a legal holiday. 9. Christmas Day are now made by law public holidays.